It’s the time many expectant couples are waiting for – the big gender reveal! No, not ours. We are not that far along yet, but one of my dear friends is. 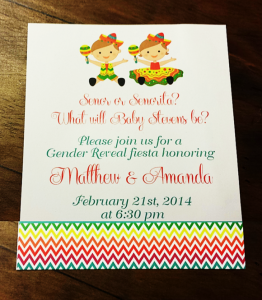 In celebration of the big reveal, she invited close friends and family over for a Gender Reveal Fiesta! 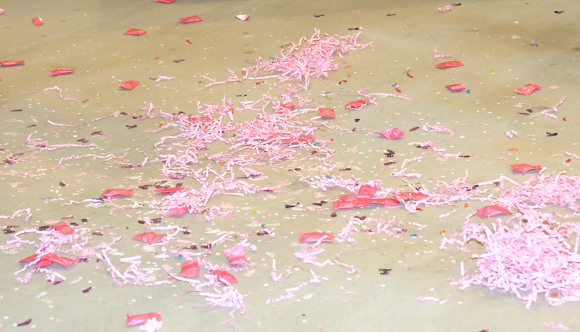 Complete with bright colors, a candy bar, and (my favorite) Mexican food galore, this gender reveal was quite a treat. The invitations were a wonderful introduction to the festivities to come. Vibrant colors and a playful design prepared guests for the festivities to come. Upon entering her home, there was a chalkboard ready for guests to make their predictions. 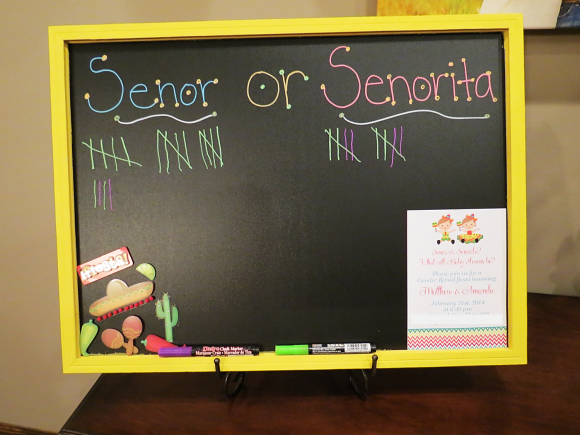 Will baby #2 be a señor or señorita? The food was catered by Moe’s Southwestern Grill. Trays of chicken, ground beef, and toppings were displayed across the kitchen island, buffet style, so guests could make their own burritos. Chips with salsa, guacamole, and queso dip were also available. Margaritas were on-hand for those who wanted to partake, but that of course didn’t include myself or the hostess. 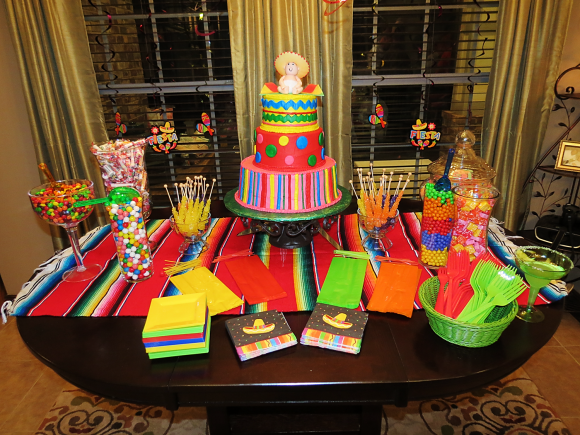 A candy bar with a three-tiered cake was the main attraction for those with a sweet tooth. Luckily, for my friend, she had a candy buffet at her wedding years ago so she already had the beautiful jars ready to display. The vibrant colors add the perfect touch for a fiesta. Finally, the moment we all came for. The mother and father-to-be chose not to find out at the doctor’s office what the gender of the baby was. Instead, they gave the results to the bride’s aunt who took care of the main attraction. 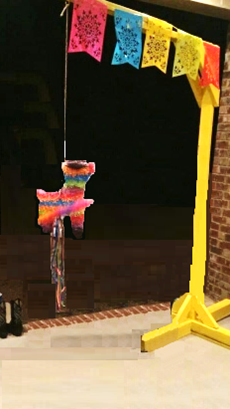 A traditional piñata was purchased for the big reveal filled with either blue or pink goodies. Only the aunt knew the surprise and she wouldn’t budge. Ok, maybe I tried to get a hint before-hand, but her lips were sealed! Dad got the piñata stick and Mom and baby sister waited at a safe distance. After a few pops, SURPRISE! It’s a girl! Congratulations to the Mom and Dad-to-be! Another precious princess is on her way!